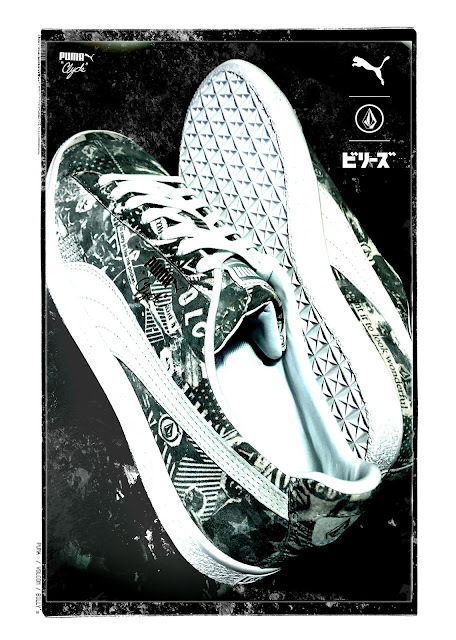 PUMA and skate brand Volcom launch an exclusive skate-inspired sneaker pack for Billy’s ENT of Japan. 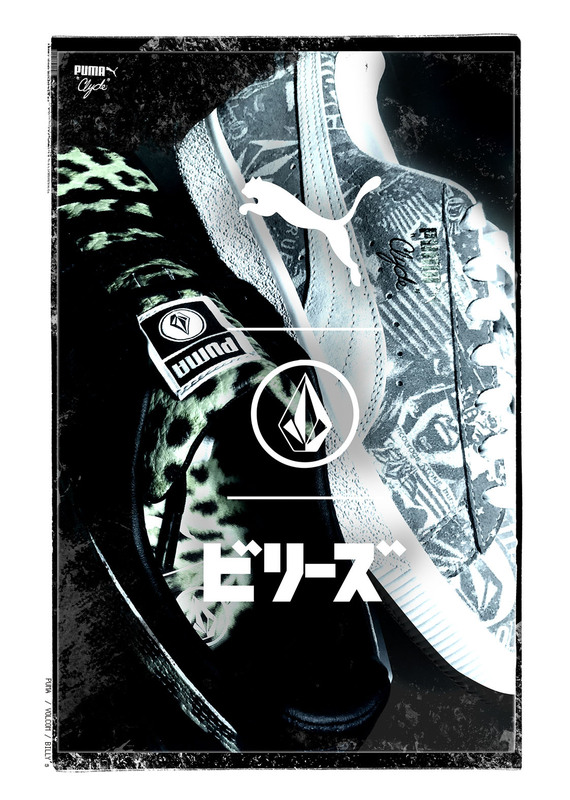 Paying homage to Japan's rise as a skateboarding nation, the PUMA X VOLCOM pack celebrates the sports debut in the Tokyo 2020 Olympics. Effortlessly balancing sports design with skate sensibilities, the retro-inspired CLYDE RT x VOLCOM FOR BLS draws inspiration from PUMA's vintage "Remo Spot" leopard design of the 90's. Adopting the Rubber Toe (RT) from the OG silhouette, the suede and luxe leather overlays along with the ghillies lacing system gives it a versatile finish. CLYDE x VOLCOM FOR BLS balances vintage appeal with modern design. The signature silhouette is rendered with Volcom's iconic graphic with a suede upper in monotone colourway. The PUMA x VOLCOM capsule collection is available at PUMA SELECT, PUMA Gateway and PUMA Menlyn stores.